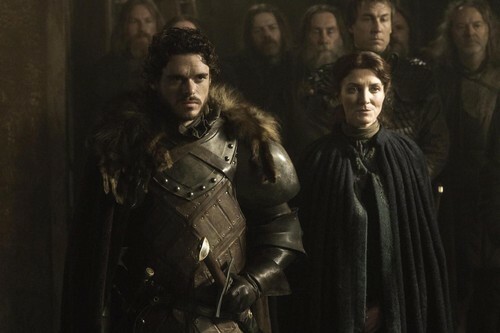 cat and robb. . HD Wallpaper and background images in the House Stark club tagged: house stark game of thrones catelyn stark robb stark. This House Stark photo might contain 가슴, 후원, egis, 가슴 판, 에이지 스, 갑옷, 방패, and 이지스.